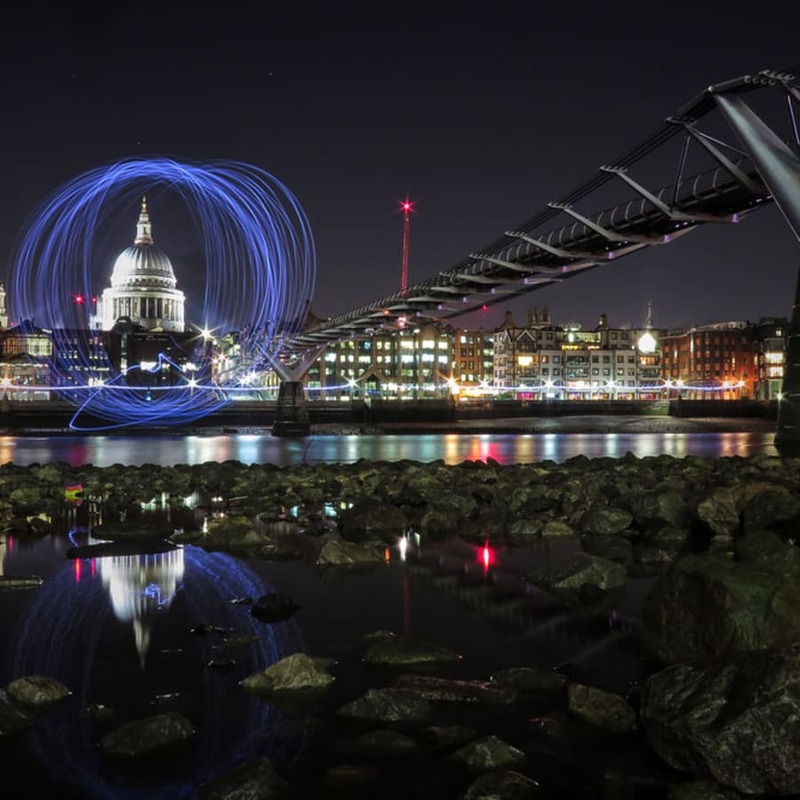 This fun and hands on evening course is suitable for all levels of photographer and aims to introduce the practice of Night Photography. In the classroom you will talk about the technical principles of night photography, gaining a clear understanding of aperture, shutter speed and ISO in relation to accurate exposure for shooting at different levels of darkness. 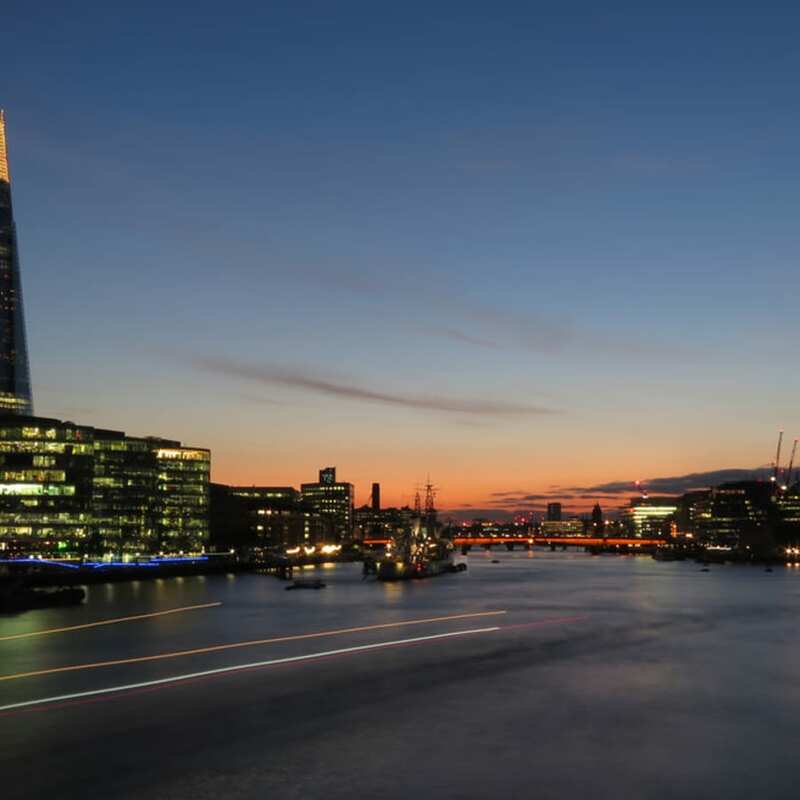 Outdoors you will explore the city as you walk down to Tower Bridge, along the way getting creative with long exposure and composition. 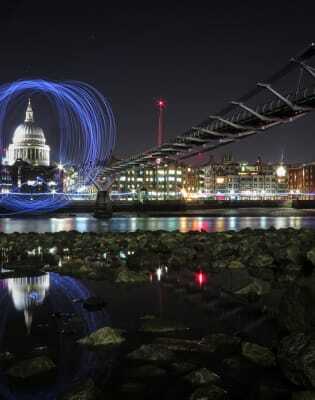 You'll then be able to experiment with the city lights, capturing photographs like those on the right. 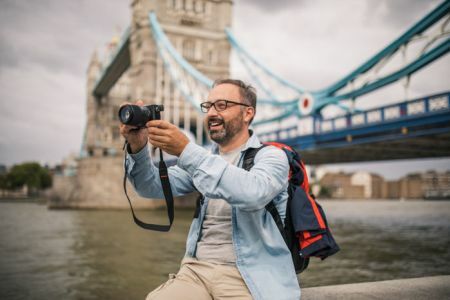 Whether you're looking to develop your knowledge and skills, or are keen to discover creative new ways to enhance your photographs, this is an ideal course. The technique of Light Painting was used in Frank Gilbreth's work with his wife Lillian Moller Gilbreth in 1914, when the pair used small lights and the open shutter of a camera to track the motion of manufacturing and clerical workers. 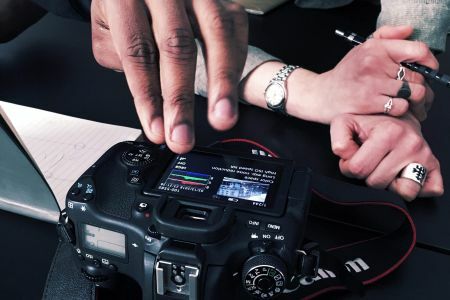 Photography Course London is a Photography school based in East London, Shoreditch, offering a wide variety of courses and classes, from Beginner, Intermediate and Advanced DSLR Photography to Post-Production Courses. You can engage in classes in the evening, daytime and on Saturday, in the classroom or fully practical, on location or in the studio. Their approach revolves around a focus on small sized classes at affordable prices, with experienced and skilled teachers as well as practitioners in the professional photographic industry. Click with photography by learning from the best. Requirements: Digital SLR Camera or Bridge Camera with fully manual controls. A full size tripod.